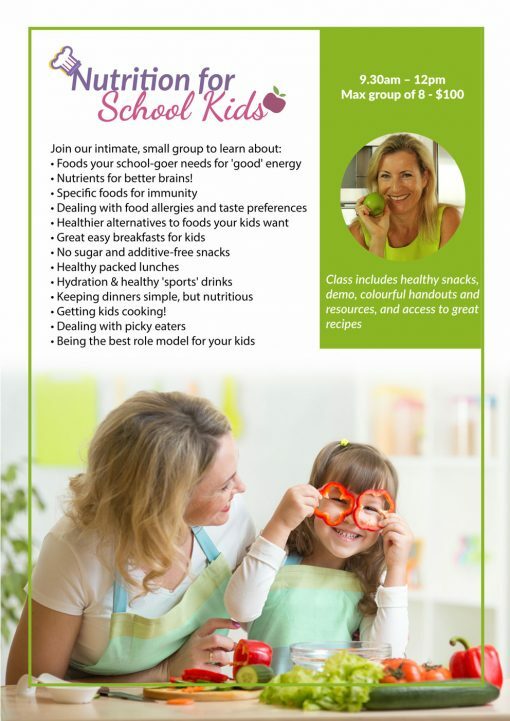 In this workshop you will learn not only how to ‘fuel for school’, but how to ensure that your growing kids, with whatever challenges they have, are given the best chance possibility nutritionally to thrive. The workshop caters to all diets and food preferences. Vegetarian, vegan and allergen-free options are provided. We wave our kids off to school every day for 8 hours or so. In that time they are required to maintain the physical and mental energy to listen, learn, concentrate, interact, play and of course behave! How do we help them achieve this so that they return home with energy left to spare to then do sports activities, complete their homework and enjoy family time before going to bed? 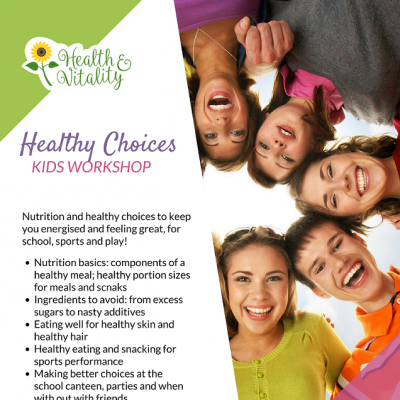 The workshop caters to all diets and food preferences, and we recognize that we are all holistically unique in what works best for our body. Vegetarian, vegan and allergen-free options are provided. Thank you, Liza. I really enjoyed the workshop, very informative, you did a great preparation and the samples were delicious! I really enjoyed today’s workshop, it was a great session – thanks for running it! I made your bliss balls with my daughter following the session and she loved them! A great start to applying the learnings that I took away from the workshop. I’ve been including our 6 year old Daniel more in the kitchen for cooking dinner etc – he’s used to helping with baking, but last night he made a chicken stew with me, and because he chopped up all the vegetables, he actually ate the likes of celery, mushroom, tomatoes and leek on his plate 🙂 I was thrilled! And he was too. We’ve also been cooking meals that contain a lot more beans, lentils and leafy greens, and we have started meatless Mondays! Thank you! It was a fantastic workshop. 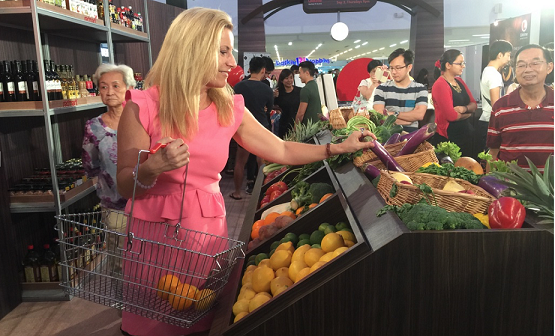 I really enjoyed it and am looking forward to implementing a healthier lifestyle in our home. I’d love Henry to attend a kids workshop so will fill in the poll. Thanks for all the lovely recipes.